... he was 49 years-old when he passed away. 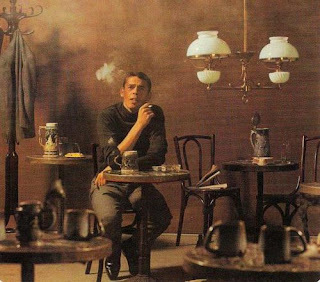 Jacques Romain Georges Brel was born in Schaarbeek, Belgium, a district of Brussels, but lived half of his life in Paris. He went on to sell over 25 million records worldwide, including over 12 million albums and singles in France and Belgium. 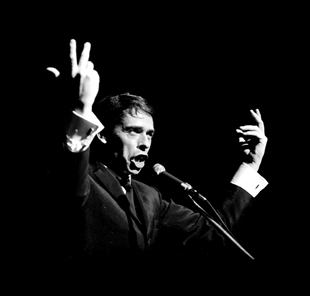 In French-speaking countries, Brel is also remembered as an actor and director. Although Jacques Brel's family spoke French, they were of Flemish descent, with some of the family originating from Zandvoorde, near Ieper. Brel came to consider himself a francophone Fleming. Brel's father was co-owner of a cardboard factory and Brel started working there when he was young. Not wishing to follow in his father's footsteps, he showed an interest in culture pursuits, instead, joining the Catholic-humanist youth organisation Franche Cordée, where he sang and acted. At Franche Cordée he met Thérèse Michielsen ('Miche'). They married in 1950. 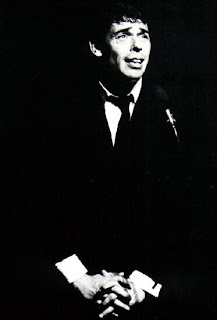 In the early 1950s Brel achieved minor success in Belgium singing his own songs and a 78rpm record was released. From 1954 Brel pursued an international singing career. He quit his job and moved to Paris, where he stayed at the Hotel Stevens and gave guitar lessons to pay his rent. Jean Villard Gilles recognized his talent and hired him immediately for his cabaret "Chez Gilles." 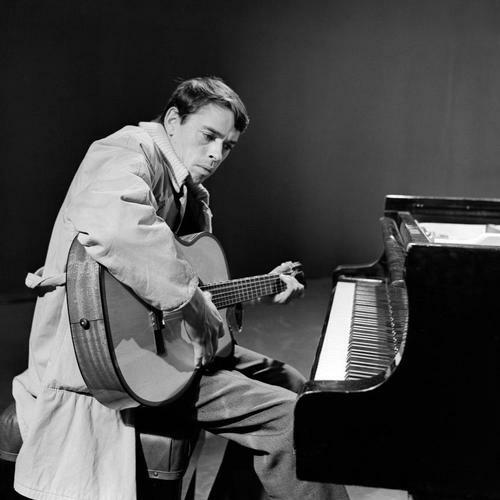 Later on, Gilles' successful song / poem La Venoge inspired Brel to write Le Plat Pays. He continued to write music and sing in the city's cabarets and music-halls. In January 1955 he supported in the Ancienne Belgique in Brussels the performances of the Belgian pop and variety pioneer Bobbejaan Schoepen. By 1956 he was touring Europe and he recorded the song "Quand on n'a que l'amour" that brought him his first major recognition. 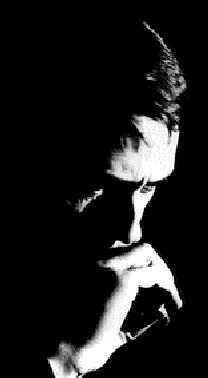 Under the influence of his friend Georges Pasquier ('Jojo') and pianists Gérard Jouannest and François Rauber, Brel's style changed. He was no longer a Catholic-humanist troubadour, but sang grimmer songs about love, death, and the struggle that is life. The music became more complex and his themes more diverse, exploring love ("Je t'aime," "Litanies pour un Retour"), society ("Les Singes," "Les Bourgeois," "Jaurès"), and spirituality ("Le Bon Dieu," "Dites," "Si c'était Vrai," "Fernand"). Brel did occasionally included parts in Dutch as in "'Marieke," and also recorded Dutch versions of a few songs such as "Le Plat Pays" (Mijn vlakke land), "Ne me quitte pas" (Laat Me Niet Alleen), "Rosa," "Les Bourgeois" (De Burgerij) and "Les paumés du petit matin" (De Nuttelozen van de Nacht). 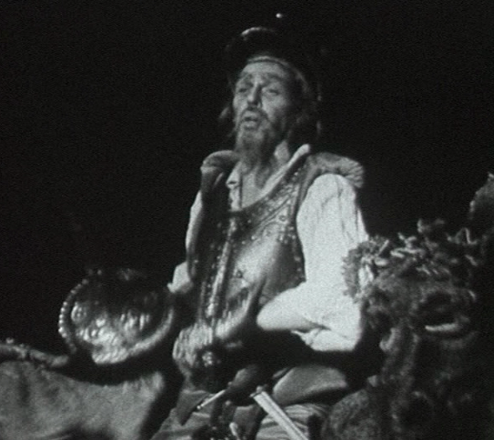 He starred in the musical L'Homme de la Mancha (Man of La Mancha) which he also translated into French and directed. As an actor he gained fame playing opposite Lino Ventura in L'Emmerdeur and L'aventure, c'est l'aventure. In 1969 he took the lead role opposite Claude Jade in Mon oncle Benjamin. Le Far West, a comedy which he directed, co-wrote and appeared in, competed for the Palme d'Or at the Cannes Film Festival in 1973. In 1977 he returned to Paris and recorded his well-received final album. He died in Bobigny in the suburbs of Paris, of lung cancer when he was 49 years-old. He is buried in the Marquesas Islands. Brel's songs are not especially well known in the English-speaking world except in translation and through the interpretations of other singers, including Scott Walker and Judy Collins. Others who have sung his work in English include Karen Akers, Marc Almond, Momus/Nick Currie, Beirut, Bellowhead, David Bowie, Ray Charles, John Denver, The Dresden Dolls, Gavin Friday, Alex Harvey, Terry Jacks, Barb Jungr, The Kingston Trio, Jack Lukeman, Amanda McBroom, Rod McKuen, Sensational Alex Harvey Band, Spencer Moody, Camille O'Sullivan, Dax Riggs, Nina Simone, Frank Sinatra, Dusty Springfield, Andy Williams, Sandler and Young, Nirvana, Dave Van Ronk, Shirley Horn, Brian Molko and James Dean Bradfield and Barbra Streisand. An American musical revue of his songs, Jacques Brel Is Alive and Well and Living in Paris, which debuted in 1968, has played around the world since. The opening song of Jacques Brel Is Alive and Well and Living in Paris is "Les Flamandes," translated by Shuman and Blau as "Marathon," which is a charming encapsulation of the United States in the 20th century (mentioning, among others, Charles Lindbergh and Sacco and Vanzetti) but it bears no relationship to the original French lyrics of the song, a tongue-in-cheek assessment of the Flemish.